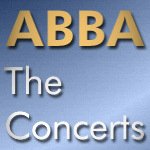 New domain abba-theconcerts.de – Please update your bookmarks and links. abba-theconcerts.info is invalid. While the basic setting for this tour through Japan was identical with the 1979 concerts, there were some changes in detail. Agnetha's hairstyle was a bit ‘Japanesque’ and Frida wore blue overknee boots and a short white jacket with her white costume. Like the icehockey shirts in North America and the football shirts in Europe Frida wore a baseball shirt and cap for Why Did It Have To Be Me. According to Bright Lights, Dark Shadows ABBA were surprised about the calm reactions of the Japanese audience during the concerts, especially in opposite to the enthusiastic clapping at the end. It is amazing how well behaved and polite the Japanese audience is. They applaud politely after every song. No extreme expressions of joy are allowed. Guards are running around all the time, cooling down the ones who try to stand up and dance to the music. But before the catchy music of ABBA even the guards have to surrender. When ABBA starts their encore, Dancing Queen, the whole concert hall is an ocean of enthusiastic, cheering audience. I do remember our bemusement when the Bukodan audience did not respond the way we were used to and when asking our promoter why, he said we had to tell them they were allowed to participate with the music and do whatever they felt like, like singing, dancing, clapping along and come up in front of the stage if they wished to. The next night at Björn's annoucement, the audience lifted the roof and we were all happy! The New Otani Hotel in Tokyo was very special, with an enormous driving range outside our hotel windows. We tried Japanese traditional massage and for many years I kept a gown, which had the New Otani name woven into the fabric, until it was almost transparent and I finally had to throw it away! One night I woke up with an odd feeling. My bed was moving and it took a few seconds before I realized it was because of an earthquake and that the whole building was swaying. Thank god it didn't last for long! And I remember the four of us walking together in the Ginza shopping area and to our amusement noticed that we were giants compared to the delicate Japanese people, and later on Benny and I sneaked into the cinema where they played a movie with Elizabeth Taylor that was dubbed to Japanese with English subtitles. Finally, I cannot write this without mentioning the delicious Japanese food. It was a culinary adenture for 4 young Swedish people. Sadly not much is written and told about the Japanese tour, the more one must be happy that the special ABBA – '80 Concert Tour In Japan was released. Rehearsals began on February 28, 1980, in Stockholm and ended on March 5. According to ABBA in America (p. 131) ABBA prepared the Japanese version of I Have A Dream in the Polar studios in the beginning of March. Here in Japan it has been very well. We are staying in the same place the whole time and don't have to travel that much. I could perform every night for several years, but the trying part is not the performing but the travelling and the jet lag. On March 15 there was a photo session in the hotel's Japanese garden. Apart from that ABBA spent most of their free time on March 15+16 in the hotel. Officially recorded live material from the 1980 tour does exist. More information about people on the official site (Story –>The people). Click on each entry to open/close the window with details. The date for one of the Tokyo recordings we know about is unknown. On this one the audience is very calm. According to some statements about the Japanese audience it seems save to assume that it must be one of the very first concerts. See the entry for March 12. No recording is known to exist. According to ABBA in America (p. 157) ABBA join in singing in Japanese on I Have A Dream. A fan recording of one of the Osaka concerts seems to exist though it apparently isn't available to a wider circle.